Facebook requires everyone to be at least 13 years old before they can create an account (in some jurisdictions, this age limit may be higher). Creating an account with false info is a violation of our terms. This includes accounts registered on the behalf of someone under 13. 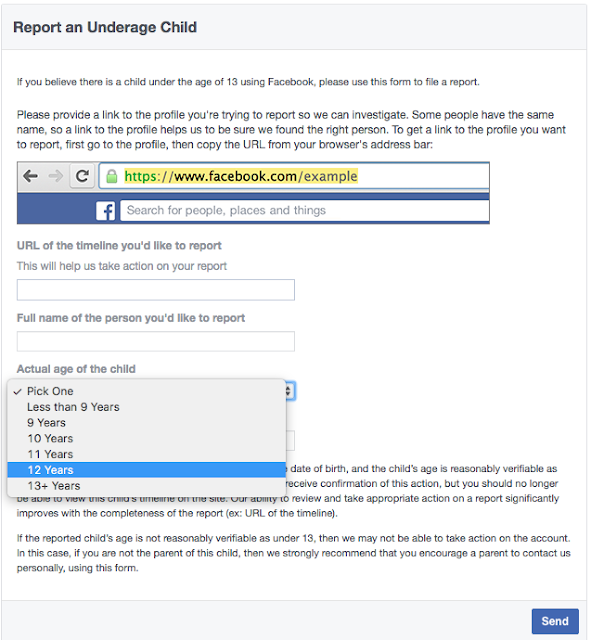 If your underage child created an account on Facebook, you can show them how to delete their account. If you'd like to report an account belonging to someone under 13, consider filling out this form. Note that Facebook will promptly delete the account of any child under the age of 13 that's reported to them through this form. Just go ahead and fill out the form. The account will be deleted.